Published by Maximum Games, Deep Silver and Nine Dot Studio are teaming up to develop Outward, an open-world action RPG. The game will release in early 2019 on the PlayStation 4. 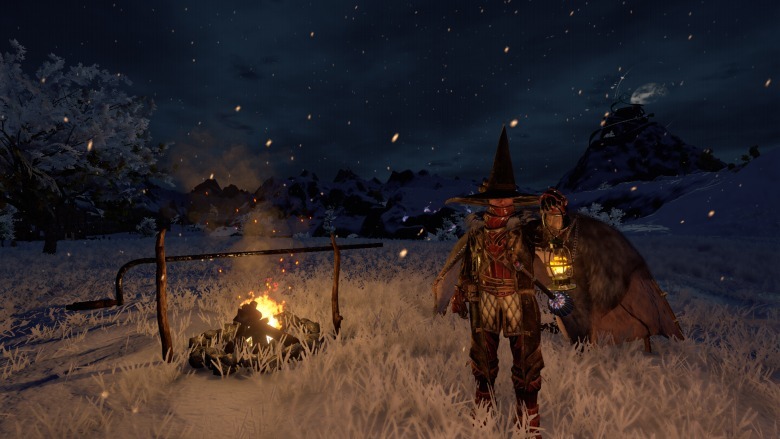 Rather than put the player in the position of being a hero on a grand quest, Outward has you play as a fairly regular person. In Outward, you might be an adventurer, a traveler, or an explorer. While survival is hard enough, you’ll also have enemies to fight on your journeys. On a good day, you’re just as strong as the foes you encounter. Here’s the Outward PAX West 2016 trailer. This doesn’t mean Outward is entirely grounded in realism. For instance, players will be able to cast spells. Instead, the game’s push for immersion takes the form of down-to-earth obstacles, such as the need to sleep and fend off disease, and the inability to start over, since the game is constantly autosaving. Death doesn’t just mean a black screen—you could wake up having been dragged and left for dead somewhere completely different. It’s likely that whoever killed you robbed you as well, so look out. Players can travel alone or team up via local or online co-op. Outward‘s replay value comes from the fact that you’ll experience a new story with each playthrough, since you will have opportunities to choose different characters and factions. Will you be keeping an eye out for this game, which is expected to appear on the PlayStation 4, Xbox One, and PC in early 2019? Let us know in the comments.